In a survey of books used for education throughout the history of Western civilization two books stand out: the Bible and Euclid’s Elements (Carl B. Boyer and Uta C. Merzbach, A History of Mathematics, 119). Poet and schoolmaster Edna St. Vincent Millay says of the Elements that “Euclid alone has looked on Beauty bare.” And Euclid earned a spot amongst Raphael’s School of Athens painting alongside Plato and Aristotle. What can account for such high praise and popularity? Is it that Euclid has laid the foundations for all mathematics? If so, why has Euclid been left behind in the modern classroom? Is there any value in a return to Euclid? What value might there be in studying Euclid today? It may be too strong a claim to say that the Elements provide the foundation for all mathematics. Nevertheless, the basic principles or axioms of many of the branches of mathematics can, in fact, be seen in Euclid. In the classical mathematical Quadrivium of Arithmetic, Geometry, Music, and Astronomy, we see that Geometry is but one of the fundamental subjects of mathematics. Yet, in Euclid’s Elements there are applications and axioms for the other branches. For example, his earliest axioms like, “If equals be added to equals, the wholes are equal” have clear implications for the axioms (if not being identical) in Arithmetic. The proofs for relationships of ratios throughout Book X (and elsewhere) have clear implications for the science of Music which deal in harmonies and patterns. And certainly the principles of trigonometry that are laid down by Euclid have far reaching application from Astronomy to sea-faring to engineering. Yet Euclid does not specifically set forth the axioms of those other branches. However, to the student who is attentive, the Elements does teach an important principle concerning the nature of learning and of certain disciplines. In demonstrative sciences one always begins with axioms and definitions and then begins to reason from those assumptions. They are the grounds or conditions of the reasoning that follows. In this sense they are indemonstrable. To ask for such demonstrations is to misunderstand the nature of the science. For example, Aristotle in the Metaphysics, sets forth to show that the Principle of Non-Contradiction (the foundations of Logic itself) cannot and should not be demonstrated. To attempt a proof is to misunderstand the nature of proof, for one cannot prove it without assuming it. The best Aristotle can do in this case is show that it is impossible to deny, because to deny it, one must assume it. In Geometry it would be improper for Euclid to attempt to prove that “a proportion in three terms is the least possible.” Rather, this definition functions as an assumption from which the proofs proceed. As indicated from the example from Aristotle, Geometry is not the only science that proceeds in this fashion. The student who is attentive in his studies of the Elements should see parallels in other disciplines as well, such as the philosophical and theological sciences. Just as there are axioms of Geometry, so too are there axioms of philosophy and theology that are not subject to proof, but are the grounds from which reasoning proceeds. This may be one of the mistakes of Descartes in Epistemology: he attempted to assume nothing and prove everything. A task which is impossible, for all disciplines requires axioms. 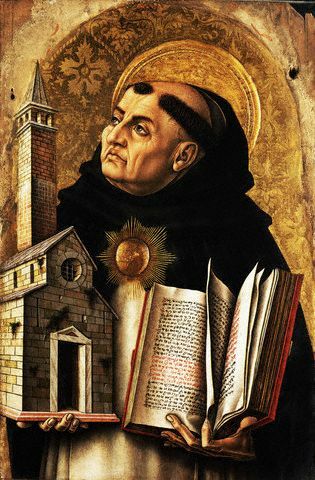 Even Moral Philosophy, of which Thomas Aquinas asserts the axiom of all action is: “good is to be done and pursued, and evil is to be avoided” (Summa Theologica, II-I, Q. 92, A. 1). 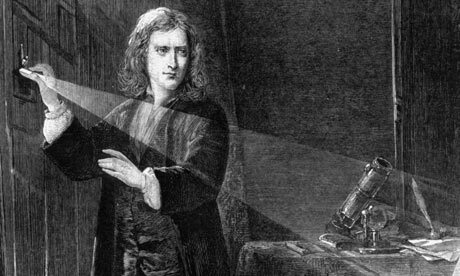 This may partially account for the staying-power of the Elements throughout history, the implicit lesson about the nature and procedure of demonstrative sciences. In addition to this, the one who studies Euclid does not just study Geometry. For the Elements is also a lesson in the Trivium of Grammar, Logic, and Rhetoric. That is, Euclid bridges the gap between the Trivium and the Quadrivium. This is also why Euclid may appeal to those persons who find mathematics difficult or intimidating. For as a modern student peruses the Elements they may be struck with how “unmathematical” it appears. There are no numbers, no Cartesian coordinate planes, no formulas. It is as much a book of literature as it is of geometry. This may account for the testimony throughout history of its elegance and beauty. For each of Euclid’s proofs begin with an assertion followed by the elegant “for if not” reductio ad absurdum and ending with pointed “the very thing which was to be shown” (Q.E.D.) or “the very thing which was to be done” (Q.E.F.). Thus, in the process of learning Geometry, the student also learns Grammar and Logic, as well as certain principles of persuasive argumentation (Rhetoric). This may also account for the popularity of the Elements in education. The wonder in a child’s eyes as they encounter the world for the first time is as exhilarating as it is unmistakable. It is the exuberance, delight, and astonishment of a young mind dazzled by creation. The dazzled young mind does not remain dazzled though, it is drawn out to know that which dazzles it. The child asks “why” incessantly, struggling to know this world in which he lives, this world which dazzles him so. This experience reveals something profound about human nature and the process of education. As Thomas’ definition suggests, humans can wonder, because they can know. Aristotle opens his Metaphysics with the claim that “All men by nature desire to know” (980a22). This translation hides an interesting dimension to Aristotle’s claim. For the word here translated as “desire” is the word ὀρέγω (orego), which does not simply mean “desire” but “stretch out, extend” and in this context could be rendered: “All men by nature are stretched out towards knowing.” Humans are stretched out but also must stretch themselves out to live in according with this nature. As Aristotle says, humans “must, so far as we can…strain every nerve to live in accordance with the best thing in us” (Nicomachean Ethics, 177b33-34). The mind is, as James V. Schall says, capax omnium—capable of knowing all things (On the Unseriousness of Human Affairs, 15). It is in human nature to be pulled towards and to strain towards truth, for only truth can be known. 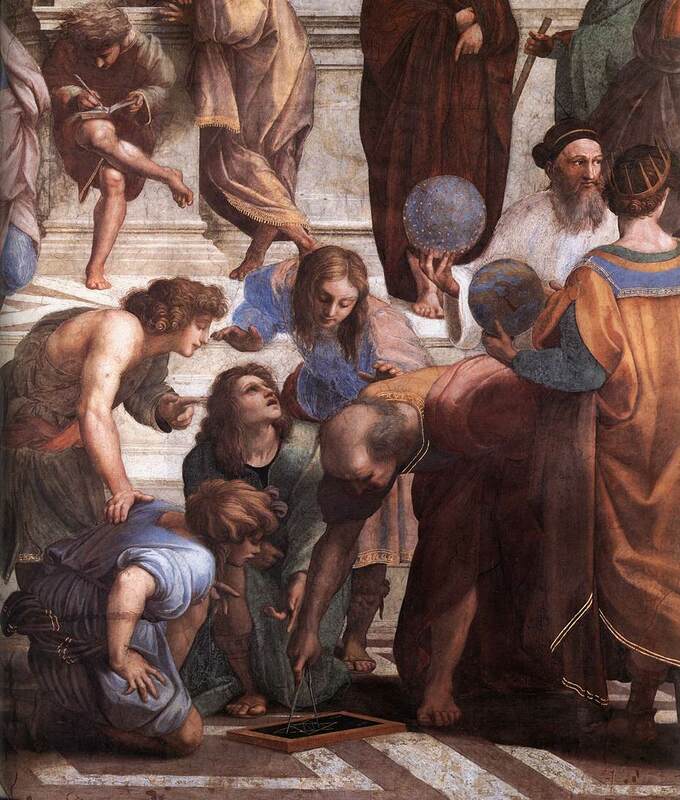 Both Plato and Aristotle cite wonder as the cause of or the beginning of all philosophy (wisdom): “This feeling of wonder shows that you are a philosopher, since wonder is the only beginning of philosophy” (Theaetetus, 155D) “For it is owing to their wonder that men both now begin and at first began to philosophize” (Metaphysics, 982b12-13). At this point, we are still missing an important part of wonder. The Latin word for wonder, admirare, comes into English as “admire” or “admiration.” Yet, wonder is not admiration, for admiration suggests a distanced response to something worthy of respect. Wonder, on the other hand, involves the wonderer. The wonderer is not a distance observer, but a participator with those wonders. As involved in the process, the wonderer experiences a great pleasure. This pleasure is not simply that of amusement (far from it! ), but a hope that that which causes awe in us due to our ignorance can come to be known. Again, says Thomas, “wonder is a cause of pleasure in so far as it includes a hope of getting the knowledge one desires to have. … Wonder gives pleasure … in so far as it includes the desire of learning the cause, and in so far as the wonderer learns something new.” Wonder, therefore, is intimately linked with hope. For, if there is no hope that the wonderer will come to know the object of his wonder, the only result is despair. Consequently, any belief system which denies that knowledge is possible, or that truth is attainable by the human mind, must be a system of despair; and must chastise the child that wonders. If this desire to wonder and to know is innate in human nature, why then do many people stop wondering as they grow? A full treatment of the decline in our wonder is beyond the scope of this essay, but I would like to suggest one possibility. As we grow, we sin, and as we sin, we violate our very nature. The effects of this will vary as individuals vary, but one of the effects is often the diminished desire for our very nature to develop. We lose what G.K. Chesterton calls, “the eternal appetite of infancy” (Orthodoxy, 58) The world becomes a wearisome and tiresome place, because we are wearied and tired of ourselves. We are born, as Wordsworth puts, “trailing clouds of glory … [and] Heaven lies about us in our infancy.” But as we grow up, we grow old and can no longer see Heaven around us. The question now becomes, what is to be done? How are we to recover this eternal infancy? How are we to grow up, without growing old? The answer must partly come from education. Education of the kind that does not dull the mind into submission, but which liberates it from opinion and ignorance, and feeds it on truth, goodness, and beauty. Then, and only then, is the mind freed to continue wondering, knowing, and delighting in the process as it matures. Furthermore, as the mind matures, it’s capacity to wonder also matures and so too does the delight in knowing. In short, we become more human, more of what we are, more of what we were intended to be. Would Aristotle Send His Son to a Public School? Aristotle stands in between two giants of history: his teacher, Plato, and his student, Alexander the Great. As both a student of a great teacher and a teacher of a great leader, one wonders just what Aristotle thought of education. Today there are several strains of educational theory which each offer their own views on the means and ends of education. Aristotle himself had an insatiable thirst for knowledge, so one wonders just what kind of education he thought best? 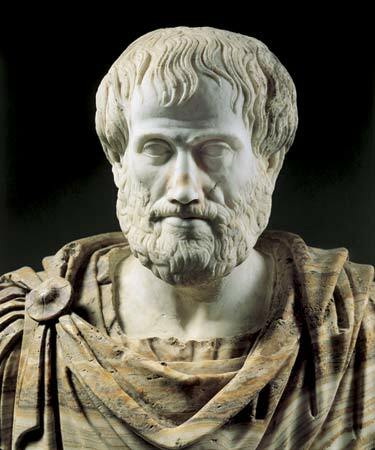 A brief analysis of his Nicomachean Ethics reveals that Aristotle would likely reject modern theories of education. In Book I of the Nicomachean Ethics, Aristotle begins his discussion of ethics with the observation that whenever a person acts, they always act with some end in mind, some purpose, goal, or good. Further, he observes that the ends we have in mind are mostly means to other ends. For example, I brush my teeth. This is not done, however, without purpose. Clearly there is a good I have in mind for the action, for otherwise I would not brush my teeth. People may brush their teeth with different goods in mind. For example, one person may do it in order to avoid gingivitis, others to have a “clean” feeling in their mouths. Either way, the end in mind is a means to another end. In the former case the end is health and in the later it is pleasure. Aristotle links the chain of means and ends and asks, is there something towards which all actions aim? That is, is there a “last end” or a “highest good” that we have in mind when we act? Aristotle asserts that the end we all have in mind is “happiness.” (See Note at end of post) That is, whatever we do, we do because we think it will make us happy. All people, says Aristotle, agree on this, but that is as far as the agreement goes. Just what is meant by “happiness” is highly disputed. Some might say that happiness is found in wealth, some that it is found in pleasure, others that it is found in honors. Is there any way to settle this dispute? Aristotle thinks so. The question of “what is human flourishing or human happiness” must be defined in terms of what it means “to be human.” For, to find the “good” of anything, we must know its function. For example, the good of the computer rests in its functioning as it was designed to function (compute) and it reaches its “good” when it functions (computes) according to the way it was designed to function. The guitarist is a “good” guitarist when he plays the guitar in the way it was designed to function. So, if a human being has a function, the human being’s ultimate “good” will be functioning according to its nature (i.e., we will find fulfillment (our good) when we function according to our essence). Yet, how might we determine the human function? To determine an object’s function one needs to discover what distinguishes it from all other objects. What is it that makes it, it? What is it, within humans, which makes them “human” and not “whales” or something else? Aristotle claims that the human function is “the soul’s activity that expresses reason [as itself having reason] or requires reason [as obeying reason]” (Nicomachean Ethics 1098a7-8). That is, it is the ability to think or to know that is unique and the principle element that makes a human, a human. However, it is not merely “thinking” but rather reasoning and acting in accordance with reason. Furthermore, it is not just thinking and acting, but thinking and acting well; that is, excellently or virtuously. 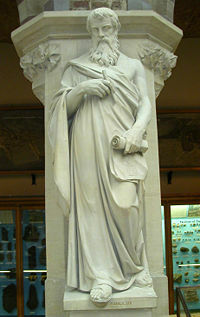 Aristotle concludes, “each function is completed well when its completion expresses the proper virtue. Therefore the human good turns out to be the soul’s activity that expresses virtue” (1098a15-17). Happiness, therefore, “is an activity of the soul expressing complete virtue” (1102a5). On the “Classical” view of education, the primary purpose of education is to rear children into adults. Education on this view has the whole of the person in mind, to train boys to become men and to train girls to become women. It is not taken for granted that as children grow they will naturally mature into adults. This begs the question of what we mean by “adult”. There are a range of answers to this question, but invariably the Classicist will answer along the lines of Aristotle outlined above. The Classicist holds that the end of education is to train the child to think and act well in accordance with virtue. 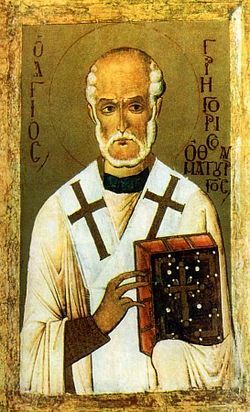 Says Aristotle, “excellence, then, being of two kinds, intellectual and moral, intellectual excellence in the main owes both its birth and its growth to teaching (for which reason it requires experience and time), while moral excellence come about as a result of habit…” (1103a14). Habits themselves are trainable and we must, through education, come to learn “to enjoy the things we ought and to hate the things we ought” (1172a22). So, which of these two views of education is most consistent with the end of “human happiness?” The Progressivist view of education, while it may prepare a student for a job, has confused the means with the end. For if it is asked, “why do we want people to have careers,” the answer, most assuredly would be, so that they can be “happy.” How exactly having a career ipso facto makes one happy or just what “happiness” is, is never quite addressed, especially given how unhappy so many people are in their careers. It isolates a single part of life and leaves the children to fend for themselves in all other things. Furthermore, it eliminates even the possibility of educating for “happiness” precisely because it attempts to remain neutral with regard to the definition of “humanity.” Thus, Progressive education is reductive by its very nature, treating children not as humans who need to be nurtured, but as animals that need to be trained. “Now each man judges well the things he knows, and of these he is a good judge. And so the man who has been educated in a subject is a good judge of that subject, and the man who has received an all-round education is a good judge in general” (1094b27-95a1). Given this, it seems unlikely that Aristotle would have entrusted the education of his son to the modern public school system. The education which Aristotle endorsed was one which conforms to the purpose of human beings, contributes to their proper functioning, and enables the child to grow into adulthood. An education that only equips the student to accomplish a single task is not meant for the free, liberated man. Without the ability to stand before all things and judge, the child is at the mercy of those who can. What needs to be assessed now are the best means by which to accomplish this end. Aristotle uses the word “eudaimonia” which is misleadingly translated as “happiness,” and notoriously difficult to define. Etymologically, “eudaimonia” means “well-spirited” but may best be translated as “flourishing,” “blessed,” or “fulfilled.” The English word “happiness” is derived from the Old Norse “happ,” which means “chance” or “luck.” Clearly this cannot be what Aristotle has in mind. See, Aristotle Nicomachean Ethics 1099b9-17. You can find the full text of Kopff’s essay here. E. Christian Kopff has an excellent piece on the influence of classical education on the American founders in The Imaginative Conservative. I also highly recommend Kopff’s book, The Devil Knows Latin.